H7B65A HP 2TB 64X32GB PC4-17000 Dual Rank X4 DDR4 2133MHZ SDRAM Cas-15-15-15 Registered Memory Kit. New Retail Factory Sealed With Full Manufacturer Warranty. 319-1413 Dell 2TB 64X32GB 1333MHZ PC3-10600 Cl9 Ecc Registered Quad Rank 1.35v DDR3 SDRAM 240-Pin Dimm Genuine Dell Memory Kit For Poweredge Server. New Bulk Pack. 319-1414 Dell 2TB 64X32GB 1333MHZ PC3-10600 Cl9 Ecc Registered Quad Rank DDR3 SDRAM 240-Pin Dimm Genuine Dell Memory Kit For Poweredge Server. New Bulk Pack. 726724-102 HP 1024GB 16X64GB PC4-17000 DDR4-2133MHZ SDRAM Quad Rank X4 Ecc Registered Load Reduced 288-Pin Genuine Hp Memory Kit For Gen9. New Retail Factory Sealed With Full Manufacturer Warranty. 726719-128 HP 128GB 8X16GB 2133mhz Pc4-17000 Cl15 Dual Rank Ecc Registered Low Voltage Ddr4 Sdram 288-Pin Dimm Hp Memory Kit For Hp Proliant Server G9. New Bulk Pack. 370-ACKR Dell 1TB Certified Memory Module 16X64GB 2133MHZ PC4-17000 CL15 ECC Registered 4RX4 1.2V DDR4 SDRAM 288-Pin LRDIMM Dell Memory For Poweredge Server. New Bulk Pack. H7B64A HP 1TB 64X16GB PC4-17000 DDR4-2133MHZ SDRAM 2RX4 Cl15 ECC Registered 288-Pin RDIMM Genuine HP Memory Kit For Proliant G9 Server. New Retail Factory Sealed With Full Manufacturer Warranty. 370-23270 Dell 1TB 32X32GB 1333MHZ PC3-10600 Cl9 Ecc Registered Quad Rank DDR3 SDRAM 240-Pin Dimm Genuine Dell Memory Kit For Dell Poweredge Server. New Bulk Pack. 319-1407 Dell 1TB 32X32GB 1600MHZ PC3-12800 Cl11 Ecc Registered Quad Rank 1.35v DDR3 SDRAM 240-Pin Dimm Genuine Dell Memory Kit For Poweredge Servers. New Bulk Pack. 319-1408 Dell 1TB 32X32GB 1333MHZ PC3-10600 Cl9 Ecc Registered Quad Rank 1.35v DDR3 SDRAM 240-Pin Dimm Genuine Dell Memory Kit For Poweredge Servers. New Bulk Pack. 319-1404 Dell 1TB 32X32GB 1333MHZ PC3-10600 Cl9 Ecc Registered Quad Rank DDR3 SDRAM 240-Pin Dimm Genuine Dell Memory Kit For Poweredge Server. New Bulk Pack. 319-1424 Dell 1TB 32X32GB 1333MHZ PC3-10600 Cl9 Ecc Registered Quad Rank DDR3 SDRAM 240-Pin Lvdimm Genuine Dell Memory Kit For Poweredge Server. New Bulk Pack. 319-1441 Dell 1TB 32X32GB 1333MHZ PC3-10600 Cl9 Ecc Registered Quad Rank DDR3 SDRAM 240-Pin Dimm Genuine Dell Memory Kit For Poweredge Server. New Bulk Pack. 319-1405 Dell 1TB 32X32GB 1333MHZ PC3-10600 Cl9 Ecc Registered Quad Rank DDR3 SDRAM 240-Pin Dimm Genuine Dell Memory Kit For Poweredge Server. New Bulk Pack. 319-1406 Dell 1TB 32X32GB 1333MHZ PC3-10600 Cl9 Ecc Registered Quad Rank DDR3 SDRAM 240-Pin Dimm Genuine Dell Memory Kit For Poweredge Server. New Bulk Pack. 319-1409 Dell 1TB 32X32GB 1333MHZ PC3-10600 Cl9 Ecc Registered Quad Rank 1.35v DDR3 SDRAM 240-Pin Dimm Genuine Dell Memory Kit For Poweredge Servers. New Bulk Pack. 805358-512 HP 512GB 8X64GB 2400MHZ PC4-19200 Cas-17 Ecc Registered Quad Rank X4 DDR4 SDRAM 288-Pin Dimm Load Memory For Hp Proliant Gen9 Server. New Retail Factory Sealed With Full Manufacturer Warranty. 805358-512 HP 512GB 8X64GB 2400MHZ PC4-19200 Cas-17 Ecc Registered Quad Rank X4 DDR4 SDRAM 288-Pin Dimm Load Memory For Hp Proliant Gen9 Server. New Bulk Pack. 726724-512 HP 512GB 8X64GB 2133MHZ PC4-17000 CAL-15 ECC Registered Quad Rank 1.2v DDR4 SDRAM 288-Pin DIMM Load Reduced HP Memory Kit For Proliant Server Gen9. New Retail Factory Sealed With Full Manufacturer Warranty. 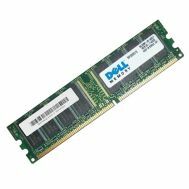 370-AATZ Dell 512GB 16X32GB 1866MHZ PC3-14900 Cl13 Ecc Registered Quad Rank DDR3 SDRAM 240-Pin Lrdimm Dell Memory Kit For Dell Poweredge Server. New Retail Factory Sealed With Full Manufacturer Warranty. 726724-512 HP 512GB 8X64GB 2133MHZ PC4-17000 CAL-15 ECC Registered Quad Rank 1.2v DDR4 SDRAM 288-Pin DIMM Load Reduced HP Memory Kit For Proliant Server Gen9. New Bulk Pack. 809209-B21 HP 128GB 1X128GB PC4-19200 DDR4-2400MHZ SDRAM Octal Rank Ecc Registered Load Reduced DIMM 288-Pin Genuine Hp Memory Module For Server Gen9. New Retail Factory Sealed With Full Manufacturer Warranty. 370-ABKB Dell 512GB 16X32GB 1866MHZ PC3-14900 Cl13 Ecc Registered Quad Rank 240-Pin DDR3 SDRAM 240-Pin Lrdimm Dell Memory Kit For Dell Poweredge Server. New Retail Factory Sealed With Full Manufacturer Warranty. 809208-B21 HP 128GB 1X128GB PC4-19200 DDR4-2400MHZ SDRAM Octal Rank Ecc Registered Load Reduced DIMM 288-Pin Genuine Hp Memory Module For Server Gen9. New Retail Factory Sealed With Full Manufacturer Warranty. 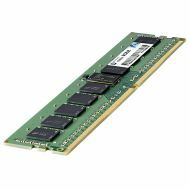 809208-S21 HP 128GB 1X128GB PC4-19200 DDR4-2400MHZ SDRAM Octal Rank Ecc Registered Load Reduced DIMM 288-Pin Genuine Hp Memory Module For Server Gen9. New Retail Factory Sealed With Full Manufacturer Warranty. 809086-091 HP 128GB 1X128GB PC4-19200 DDR4-2400MHZ SDRAM Octal Rank Ecc Registered Load Reduced Dimm 288-Pin Genuine Hp Memory Module For Server Gen9. New Retail Factory Sealed With Full Manufacturer Warranty. 809208-B21 HP 128GB 1X128GB PC4-19200 DDR4-2400MHZ SDRAM Octal Rank Ecc Registered Load Reduced DIMM 288-Pin Genuine Hp Memory Module For Server Gen9. New Bulk Pack. 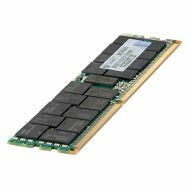 809208-S21 HP 128GB 1X128GB PC4-19200 DDR4-2400MHZ SDRAM Octal Rank Ecc Registered Load Reduced DIMM 288-Pin Genuine Hp Memory Module For Server Gen9. New Bulk Pack. 370-ABUV Dell 768GB 24X32GB 2133MHZ PC4-17000 Cl15 Ecc Quad Rank 1.2v DDR4 SDRAM 288-Pin Load Reduced Dimm Genuine Dell Memory Kit For Dell Server Memory. New Bulk Pack. 370-ACQG Dell 768GB 24X32GB 2400MHZ PC4-19200 CAS-17 ECC Registered Dual Rank X4 DDR4 SDRAM 288-Pin LRDIMM Memory Module for Poweredge Server. New Retail Factory Sealed With Full Manufacturer Warranty. M0T09A HP 512GB 16X32GB PC4-17000 DDR4-2133MHZ SDRAM Dual-Rank X4 Ecc Registered 288-Pin Lrdimm Genuine Hp Memory Module For Proliant Server Gen9. New Retail Factory Sealed With Full Manufacturer Warranty. 805358-384 HP 384GB 6X64GB 2400MHZ PC4-19200 CAS-17 Ecc Registered Quad Rank X4 DDR4 SDRAM 288-PIN DIMM Load Memory For Hp Proliant Gen9 Server. New Retail Factory Sealed With Full Manufacturer Warranty. 726722-512 HP 512GB 16X32GB PC4-17000 DDR4-2133MHZ SDRAM Quad Rank Ecc Registered Load Reduced 288-Pin Dimm Genuine Hp Memory Module For Proliant Server Gen9. New Retail Factory Sealed With Full Manufacturer Warranty. 805358-384 HP 384GB 6X64GB 2400MHZ PC4-19200 CAS-17 Ecc Registered Quad Rank X4 DDR4 SDRAM 288-PIN DIMM Load Memory For Hp Proliant Gen9 Server. New Bulk Pack. 726724-384 HP 384GB 6X64GB 2133MHz PC4-17000 CAL-15 ECC Registered QUAD Rank 1.2V DDR4 SDRAM 288-Pin DIMM Load Reduced HP Memory KITforProliant Server GEN9. New Retail Factory Sealed With Full Manufacturer Warranty. 805353-384 HP 384GB 12X32GB 2400MHZ PC4-19200 CAS-17 ECC Registered Dual Rank X4 DDR4 SDRAM 288-Pin DIMM LOAD Memory forHP Proliant GEN9 Server. New Retail Factory Sealed With Full Manufacturer Warranty. 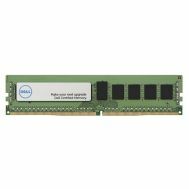 370-ABUU Dell 512GB 16X32GB 2133MHZ PC4-17000 Cl15 Ecc Quad Rank 1.2v DDR4 SDRAM 288-Pin Load Reduced Dimm Genuine Dell Memory Kit For Dell Server Memory. New Retail Factory Sealed With Full Manufacturer Warranty. H7B63A HP 512GB 64X8GB 2133MHZ PC4-17000 Cas-15 Ecc Registered 1rx4 1.2v DDR4 SDRAM 288-Pin Rdimm Hp Memory Module For Hp Proliant Server Gen9. New Retail Factory Sealed With Full Manufacturer Warranty. 370-ACDJ Dell 512GB 16X32GB 2133MHZ PC4-17000 Cl15 4rx4 1.2v Ecc Registered DDR4 SDRAM 288-Pin Lrdimm Genuine Dell Memory Module For Server For Server. New Retail Factory Sealed With Full Manufacturer Warranty. 726722-512 HP 512GB 16X32GB PC4-17000 DDR4-2133MHZ SDRAM Quad Rank Ecc Registered Load Reduced 288-Pin Dimm Genuine Hp Memory Module For Proliant Server Gen9. New Bulk Pack.